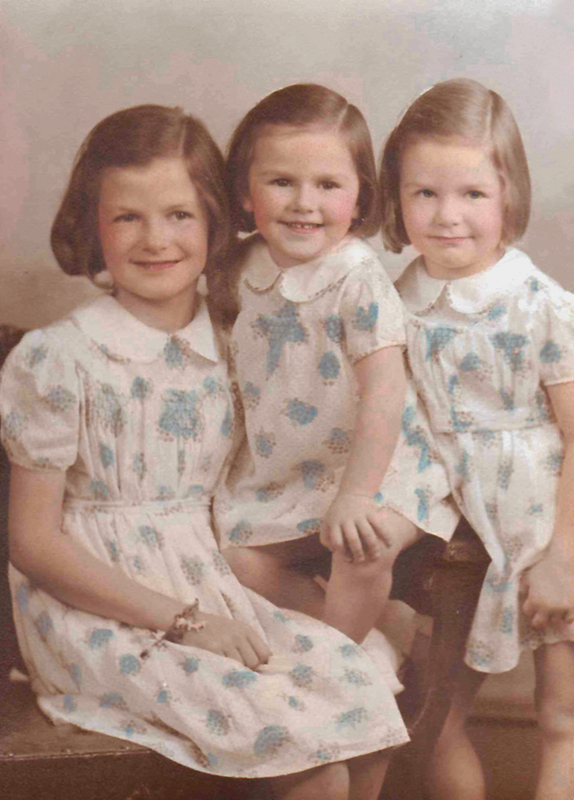 My two sisters and I were baptized in identical dresses. I remember the baptism font, the cold sprinkled water, the voice of our minister whom I loved and the white roses we were given. However, I remember our dresses the most because I wore my older sister’s for another season, and my younger sister had two hand-me-down identical dresses! Clara – our seamstress – had a special place in our family. She was a single woman who was quite plain and frail and had a quiver in her voice. She lived in a one room flat up a dingy staircase, and was often sick. However, as a seamstress she seemed quite magical. On birthdays and Christmas I would often find a dress for my doll that exactly matched a dress of mine. I remember smocking, miniature pockets, tiny buttons and perfect buttonholes – even matching linings in doll coats and jackets. As much love and care seemed to go into the doll clothes that Clara made as for our own dresses. My mother also cared for Clara. She always had soup or healthy food from our garden or her own baking that she would take to Clara. In fact, my mother always included the people who helped us throughout the years. Whether it was Mrs. Berry – the ironer – Mary Louise or childcare ladies, or Mr. and Mrs. Ike who helped clean up inside and out. Mother always knew all of their family members by name, inquired after their welfare, gave them healthy food and gifts and had plenty of time to listen! Everyone was an important member of the human family. Maybe I have wandered away from the subject of baptism dresses, but there seems to be a relationship between remembering my mother as a goodwill ambassador, and the baptism of her three daughters.